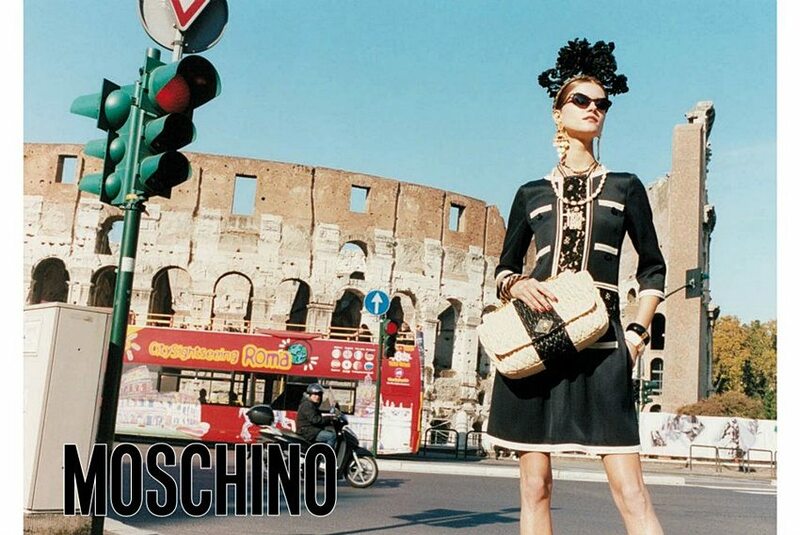 Moschino Spring Summer 2012 advertising campaign was shot in Rome featuring Kasia Struss, photographed by Juergen Teller. Kasia posed in front of Collosseum and a red Fiat 500 as campaign backdrop. 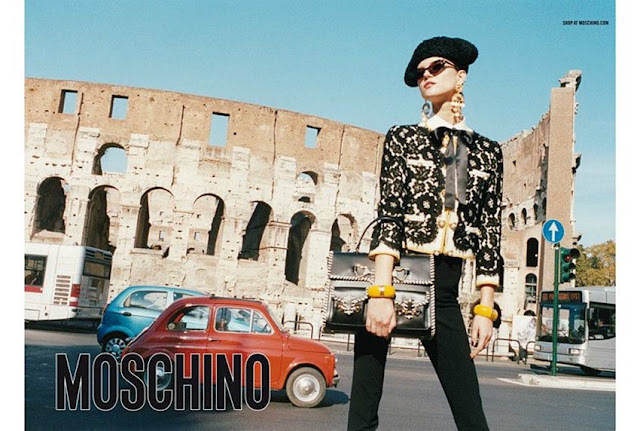 "I wanted to show once again how much we love Italy, which is one of the most beautiful countries, which is able to stand out for the excellence of the Made in Italy and its sartorial tradition. VIVA ITALIA, " said the brand's creative director Rossella Jardini.